Schriever Air Force Base, Colorado. July 15, 2014 – The 2nd Space Operations Squadron accepted satellite control authority of its sixth GPS Block IIF satellite during a ceremony at Schriever AFB on May 30. Following its launch May 16 from Cape Canaveral, Florida, acquirers from the Space and Missile Systems Center and operators from the 50th and 310th Space Wings first performed an extensive checkout of the spacecraft before placing it into a primary slot in the GPS constellation. Col. Bill Cooley, director at the Space and Missile Systems Center’s GPS Directorate, started the ceremony by transferring satellite control authority of the vehicle, known as SVN-67, to the 14th Air Force. Lt. Col. Chad Riden, 14th AF chief of operations, accepted SCA and transferred it to 50 SW Commander, Col. Bill Liquori. Liquori delegated command and control of SVN-67 to 2 SOPS. Adding a sixth Block IIF to the constellation represents a significant milestone for GPS because SVN-67, will replace the last remaining legacy GPS Block IIA satellite in a primary node. “SVN-67 is moving into a slot formerly occupied by SVN-34, a GPS Block IIA vehicle that has been broadcasting since the mid-1990s,” said Capt. Achille Aloisi, 2 SOPS GPS mission analysis flight commander. GPS satellites transmit digital radio signals to receivers on the ground, allowing military and civilian users to calculate their time, location and velocity. The Block IIF series is the fifth generation of GPS spacecraft and provides improved timing technology, a more jam-resistant military signal and higher powered civilian signal compared to previous models. SVN-67 was designed to operate on orbit for 12 years and includes a reprogrammable processor capable of receiving software uploads. Despite being replaced in its primary slot, SVN-34 is still producing healthy signals and will continue to contribute to GPS missions for the foreseeable future. “We’re moving SVN-34 to a different node so it can back up an older Block IIR satellite,” Aloisi said. 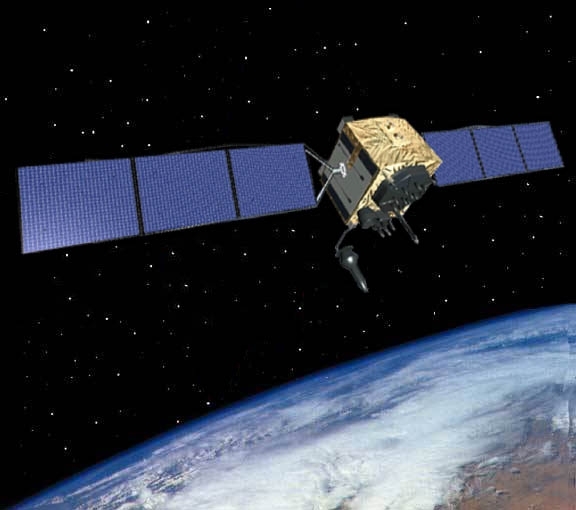 The seventh GPS Block IIF is slated for launch in July. Ultimately, the Air Force plans to launch 12 Block IIFs and has two launches remaining in the planning stage for 2014.